It's snowing this morning ... in a teasing kind of way. Water drops glisten from the clusters of red berries on the mountain ash, so you know it's not that cold. Snow dusts roof tops and then melts like glazed icing. 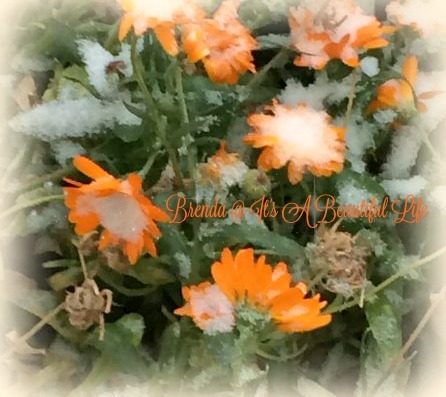 Snowflakes cluster on orange petaled calendula blossoms, while lazy flakes drop from grey skies as if not quite sure, not quite ready, for going full steam ahead into a new season. Many people would say, no, they're not ready either. But as for me ... it's perfect! Wonderful, in fact! For with the time change this past weekend and the evenings now arriving earlier in the afternoon, my cozying, nesting instincts are in full swing. For, you see, when autumn is allowed to be autumn in a blaze of glory first -- which it was this year -- then when the first sightings of snow appears in early November, I'm completely ready to give myself over to it. For snow and Christmas and cozy darkness on the horizon (not the creepy, bear-lurking darkness, mind you) are all favourites in my estimation. As hubby would say, "First, let's plan lunch." Serve with buns, buttered and lightly sprinkled with garlic powder, toasted under the broiler for 1-2 minutes, or until toasty golden brown. Burnt is not acceptable, so keep your eye on them. My favourite way to sort through paper of any kind is by hauling the accumulated piles or boxes in front of the TV. That way, I can watch or listen while going through the stacks. Makes the task more enjoyable for me. And it's always amazing how much becomes redundant with the passage of time. The bits of paper that seemed so important even a week ago no longer matter or have relevance. No wonder it's a good idea to go through the basket on a somewhat regular basis. Good for that freeing feeling too. This candle fooled my hubby when I brought it home from the store. He thought it was apple preserves ... because that's what the label says; it didn't actually mention that it was a candle. So almost it went into the pantry cupboard alongside the jams and jellies. Rescued, it now sits in the centre of our kitchen table, adding a bright spot on this grey November day. So here's wishing you all a beautiful Monday. Your "tease" of snow sounds wonderful, and just right for now. And you wrote about it so beautifully! As the day progressed the snow melted and when I went for a walk in the afternoon, it felt like Victoria, BC in mid-December. Coolish, but not cold ... damp .. and so grey in the skies it almost feels like fog but it isn't. It was lovely. I love days like that. Nancy, thanks for your lovely reply! Diane, As I mentioned to Nancy, the snow melted. Around these parts in northerly Alberta, it can snow and stay till Spring. But it depends on the year. They tell is it's supposed to be a warmer winter for us. We shall see. Your 'busy day mushroom soup' works for me, Brenda! The mushroom caps alone sauteed in butter are always a treat here. My hubby goes to the gym too but he doesn't help in the kitchen too much. He will gladly do dishes but leaves the cooking to me. When he retires, I'm going to teach him how to make a few things. I really enjoy your 'way with words' and I like the home quote. I'm always on the look out for quotes so I'll be borrowing this one to use down the road. Thank you for joining me today and enjoy this first week of November. Hubby and I share some of the cooking. He's a good cook and is always willing to try out some new recipe. These days he's outside working hard in the garden so I'm making sure cooking and baking are taken care of inside. Lovely to hear from you, Sandi! Janet, I love every season in turn. 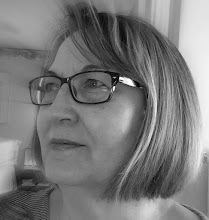 I'm happy for the dark and the snow and, yes, even the cold, but come Spring I'm totally ready for green grass and sunshine and hints of daffodils coming up in the garden. I always look forward to the first snow too Brenda, it's in the genes of being Canadian to crave the cold and pretty snowy days. Of course these days are admired more since I've retired. My fall cleaning started last month but I still have 2 rooms to do and one is my office with my stash of magazines. It will get done eventually but in the mean time I'll be thinking about bringing the Christmas decor out mid-month. Good old Campbell's soup - I use the cans more in casseroles than for eating out of a bowl. Judith, Yes, I know about admiring wintry days more when we don't have to go out into them every day to work. Wishing you lovely days as you clean and then get your home ready for Christmas. What fun! Lovely to hear from you, Nellie! I see there are more of us getting 'in the mood'. Wishing you beautiful days ... and evenings ahead! The first snow is always magical. Any snow here would be magical. I long for it each year, but it's unlikely this year because of El Nino. Love the idea of bustling around the house, filling it with good smells and tidy corners. Enjoy! Lorrie, When I went out this afternoon, the snow had melted and it felt just like a day in Victoria in mid-December. I loved it. I hope you'll see a bit of snow come Christmas even if they say El Nino is here. Good for you! 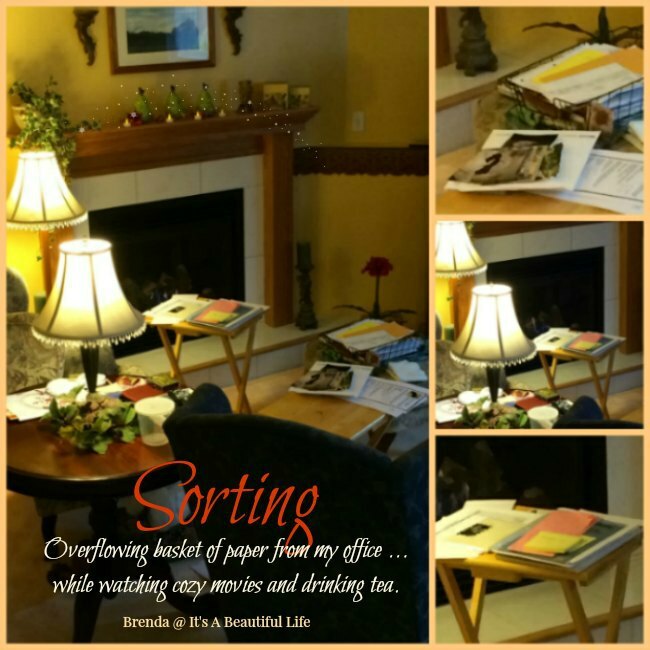 That de-cluttering and sorting job is a bear - for me, at least. There are so many books and papers! I bet that candle smells fantastic. I love having a candle burning. Pumpkin spice and Apple are my two favorite fall ones. So sorry to hear about the snow. I know that first snow is pretty, but I know how I feel about snow in late March...or April...or even MAY, when it's still hanging around. I agree snow in April or May is not as enjoyable as it is now in November. All things in moderation; winter does tend to overstay its welcome some years. According to the weather forecasters--so it must be true--we'll be experiencing temperatures in the 20s (!) in Ontario this week. I enjoy decluttering in small chunks. I plan to declutter some of my books, dvds, and cds this month. It feels so good to get rid of excess items from the house! In the 20s! Oh my, that is unusual, but then the weather seems to be all-which-away these days. I'm sure you'll enjoy it as you go about your de-cluttering adventures! It is such a freeing feeling to rid oneself of excess and clutter. 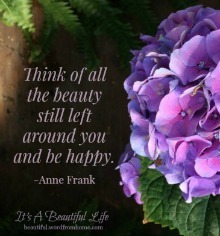 Sending happy wishes, Margie, for a beautiful week! You're so right about the change of seasons from fall into winter bringing on the cozy feeling, and the energy I get from this season and that cozy feeling also inspire me to de-clutter and create, and bake ! I love this pic of your living room as you sort and watch movies because that is how I get my tedious de-cluttering jobs done. Of course I have to have some yummy snacks nearby too. Brenda - Can't believe you are already having snow. But, you seem to be all settled in and ready for winter. Snow! We're still dancing the weather tango around here, for every step into mild winter, two steps back into summer days. Brenda, I saw that teasing of snow yesterday morning too. That is so well worded. 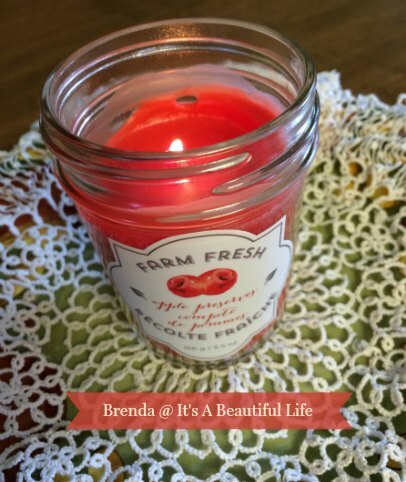 I replaced candles with a wax warmer a couple of years ago and at a craft sale recently bought some Cinnamon Vanilla (my favorite) was from Scentsy which I have been thoroughly enjoying. She only had one so I will have to check at my craft sale on Saturday if I can get another. Sylvia D.
Hi Brenda...a perfect fall day, cozy indeed. I love mushroom soup, and make it often in winter. Yours has inspired me...it's time! Thanks for visiting and your kind comments! Wow, you have snow? Even melty snow seems far off here, as yet. Sounds as though you made your home very cosy, I love those moments when your soul sings in harmony with the season. I love the tone - and the look of this post. I like the way you did the collages with text - and I love how you took us through your home and your projects. Mmmmmm soup for lunch - that sounds perfect - we are having cloudy cool days, with rain coming later in the week - perfect for soup - and later a cup of tea when my friend comes by for our craft day. Brenda what a delightful visit...usually we should have our first measurable snow by mid November but we have 70 degrees for a high today and I am still working in the garden much later than usually possible....still feels like early October here and I will take it for a while longer...although once our Thanksgiving is over, I like a little snow to get me in the Christmas and winter mood. Hi Brenda! 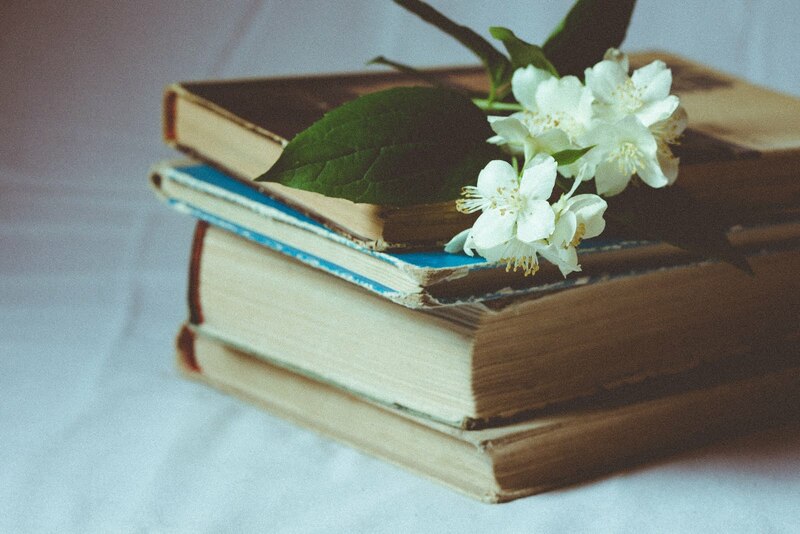 What a lovely blog ...beautiful photos and great mosaics! And I want some of your yummy mushroom soup this very minute! Oh my goodness, it looks tasty...thanks for the recipe! I am almost jealous of your snow...almost. Later on this winter, I hope we get our share but I'm not quite ready for it yet :) Have a great day! Oh your soup and cozy indoors look wonderful as well as your word pictures of what is going on outside! Here in Pennsylvania we are having an "Indian Summer" day with mild temperatures....quite welcome as for the last week, I had to turn the furnace on practically every morning. HI Brenda, it's so nice to meet you! The mushroom soup sounds like a comforting meal. I'm like you and bring a stack of papers in front to the TV to sort through, while I sit on the floor. It's finally cooling off here in Texas, and I am so happy! Hello, I am not ready for snow yet! We are enjoying some warm temps the last few days, I hope the warm weather sticks around. 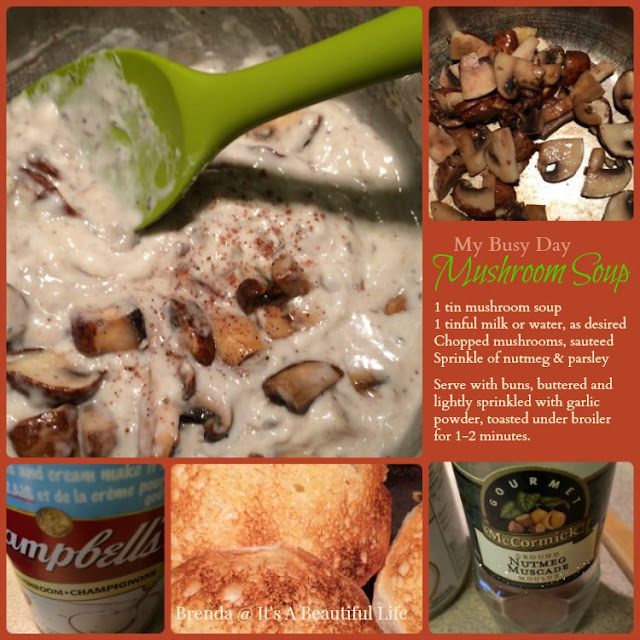 Your mushroom soup sounds delicious and easy too. Thanks for sharing the recipe. I should be thinking of de-cluttering and cleaning too, Thanksgiving will be here soon. Have a happy day! Ahhh . . . we are kindred spirits. Love this cozy time of year! A lovely post, Brenda, though it is now Saturday, and I wish a beautiful weekend for you. Our Saturday is gray and rainy, but tomorrow should be a typical Fall day here in the South.